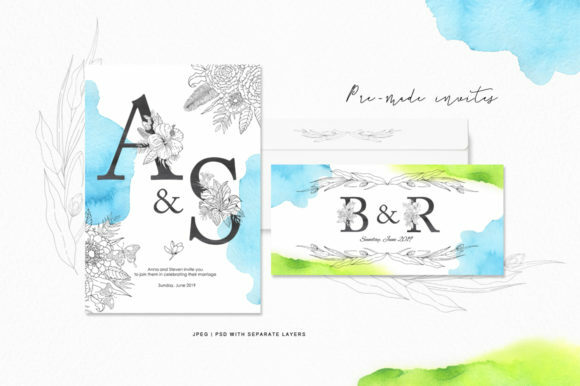 This is a hand painted graphic collection. 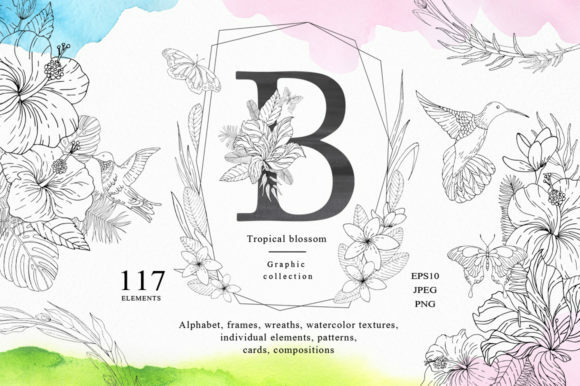 Illustrations of tropical flowers, butterflies, birds, palm leaves, floral alphabet and many elements will help you in creation of bright modern design. 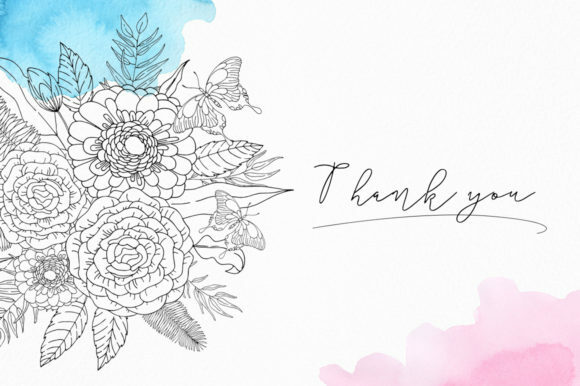 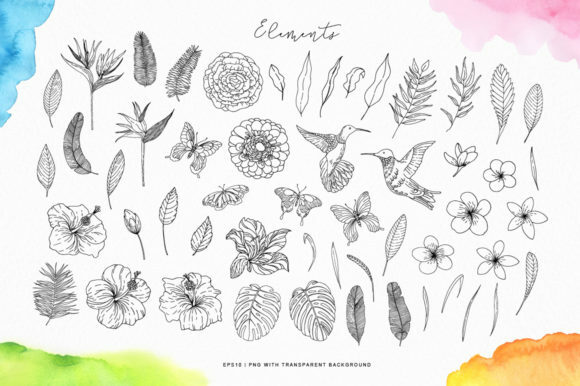 Great for wedding stationery, greeting cards, invitations, posters, packaging design, gifts, textile design, prints and other. 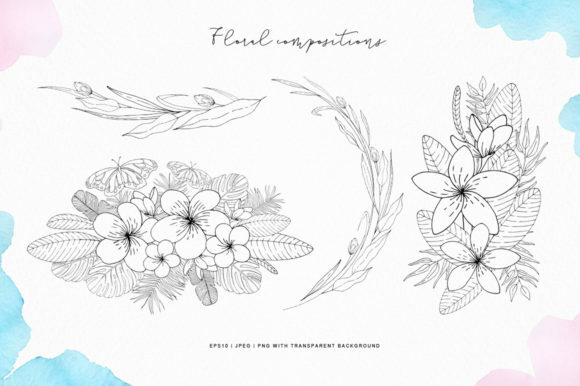 53 individual elements in PNG format with transparent background and 53 vector elements in 1 flie EPS10. 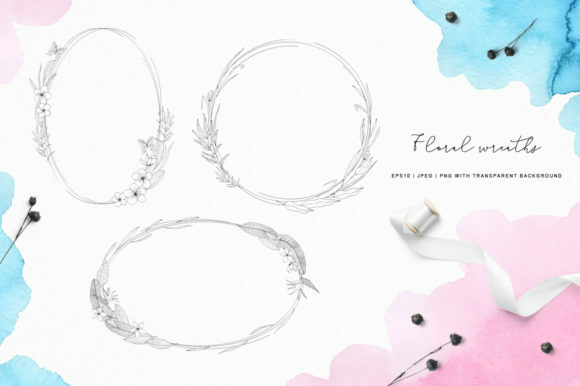 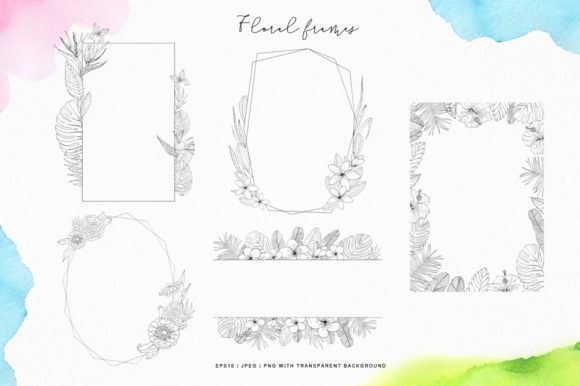 3 Floral wreaths in EPS10, JPEG and PNG format with transparent background. 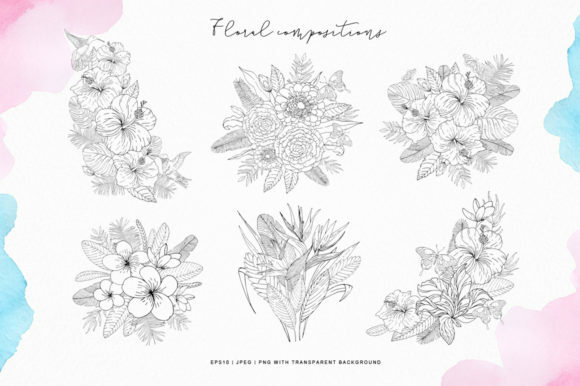 10 Floral compositions in EPS10, JPEG and PNG format with transparent background. 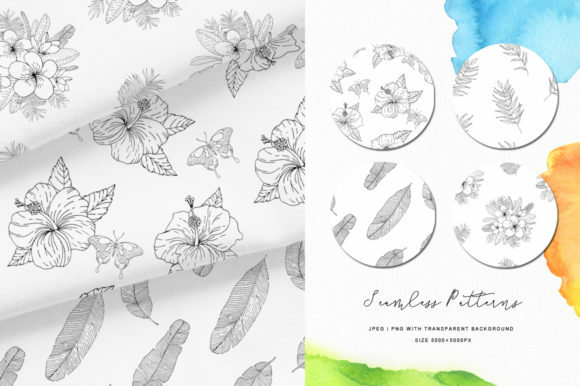 4 Seamless patterns in EPS10, JPEG 5000x5000px and PNG 5000x5000px with transparent background. 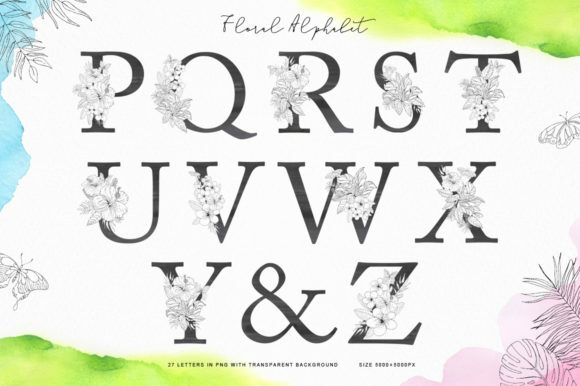 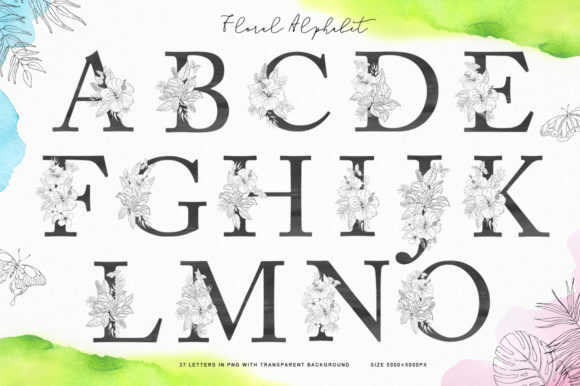 27 Alphabet letters in EPS10 and JPEG 1500x1500px and 27 alphabet letters with watercolor texture in PNG with transparent background 5000x5000px. 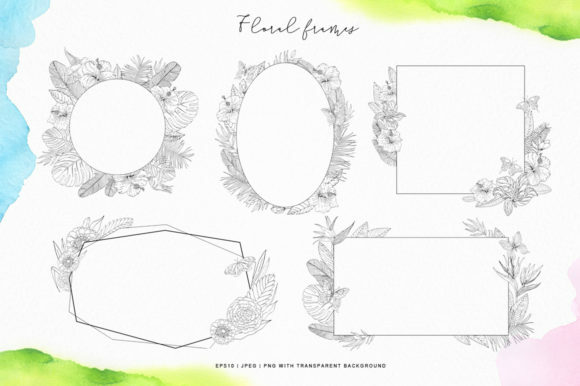 10 Floral frames in EPS10, JPEG and PNG format with transparent background. 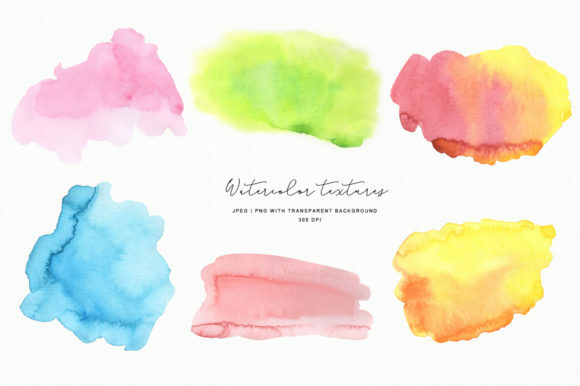 6 Watercolor textures in JPEG and PNG format with transparent background 300dpi. 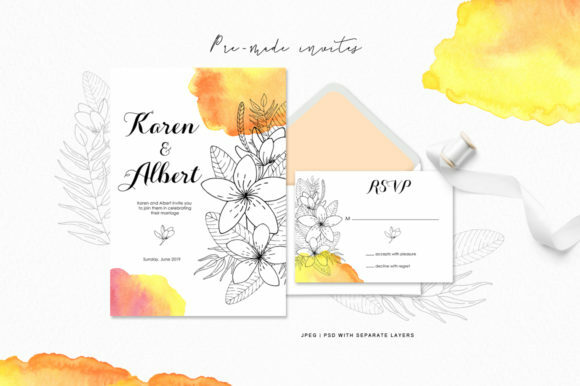 4 Pre-made cards in PSD format with separate layers: 2 invitations A4(210x297mm 300dpi), 1 invitation (210x200mm 300dpi), 1 RSVP card (148x105mm 300dpi).